vickichristine: Happy Earth Day, Earthlings! this happens to be the very same stock image I used last year on Earth Day - evidence that I like to recycle! Green alert! Can we count the awesomesness that is today?! Perfect. 1. It's Friday! End of the week, almost the weekend, so darn close I can barely concentrate on all the mundane tasks ahead of me. Weekend, I love you. 2. It's sunny! After a gloomy, dreary week of gloom and drear, light has broken through. Sun gods look upon us and keep us. Amen. 3. King beds make life better. How do I know this? Well, the Hank and I slept on our brand new, highly attractive, doubly soft, triply large king bed last night. I don't even think we passed each other in the night - AND Easton found a spot in between us and he, as well, did not move at all. It's all pretty impressive and wonderful. I woke up with zero back aches and think I'm even skinnier and wiser today. Ah, the magic of comfort and space. Clearly, it's having some kind of effect - I'm writing in sentence case people! 4. It's Earth Day!! Why is this awesome you may ask...well, I've got a few reasons to give, oh yes I do. Google is prettier today than yesterday. Starbucks is giving away free coffee - BYOMug. J.Crew is having a factory sale and they told me to tell my friends! I don't think this has anything to do with earth day but it's still great news. According to some Patch writer from Cinnaminson, NJ (how freaking cool is that township name! 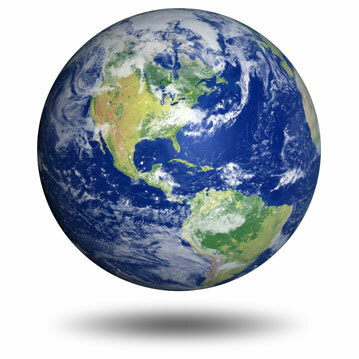 ), more than 1 billion people are celebrating Earth Day around the world! And really, in the end, don't we all just want to be like everyone else? Sheep, I say! So yes, find comfort or inspiration in that. Note: Patch does not even compare to Main Street Connect. 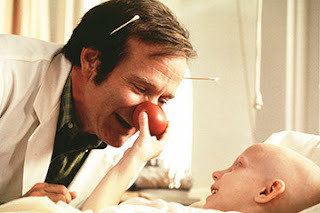 Patch is just some doctor Robin Williams played back in the 90s! Main Street Connect nurtures the human bond, connecting people with raw and honest information, from town to town. Just sayin'...ya know, in case they're hiring. HI! pick me. That's it for now. I think it's enough awesome to make a flower grow. here's a present from me to you for Earth day!